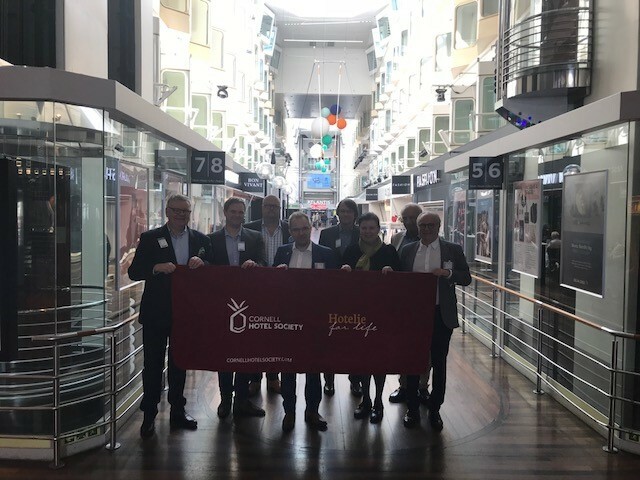 The CHS Finland, Russia, and Baltics chapter celebrated the 90th anniversary of the Cornell Hotel Society at the terminal for the Silja Symphony ferry. Silja handles over 4 million passengers from Helsinki to Stockholm and back on daily basis. They also operate numerous ships between Helsinki and Tallinn each day. The host for the event was Pasi Nakki Vice Managing Director of the Silja Line.